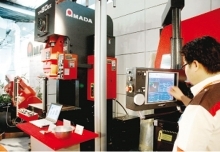 Authorities of the northern province of Vinh Phuc always support and create the most favourable conditions for Italian firms, especially those operating in producing hi-tech auto accessories and components,to expand investment in the locality, a local leading official has said. Party Central Committee member, Secretary of the provincial Party Committee Hoang Thi Thuy Lan, who is also head of the provincial Steering Committee for investment promotion, made the affirmation at meetings with representatives from Italian firms and leaders of the European country’s localities during her working trip to Italy from December 14-15. In the working session with representatives from Piaggio and officials from the Tuscany, Lan briefed them on sectors that Vinh Phuc is calling for investment, as well as the province’s socio-economic development. The locality will continue to facilitate the operation of Piaggio in Vinh Phuc in the time to come, she said. 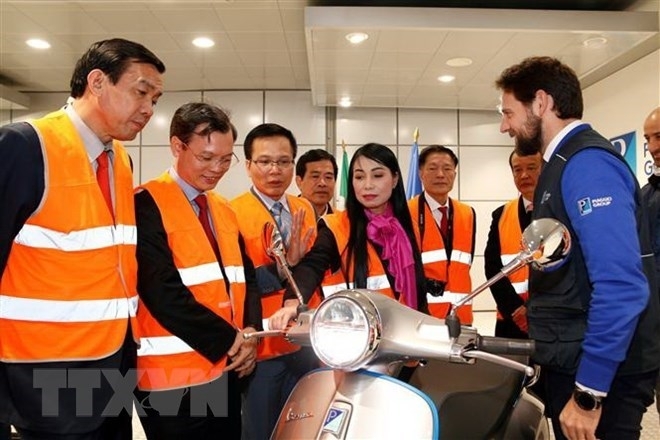 Alessandro Zazzeri, Vice Chairman of Piaggio Group, appreciated the Vietnamese Government in general and Vinh Phuc province in particular for incentives that they have given to the firm during its production and business in Vietnam. In its development strategy, Piaggio will continue to expand its production in Vietnam, while committing to introducing and calling on manufacturers of accessories for the automobile and motorbike industry to seek partners and boost investment in Vinh Phuc, he said. During their stay inItaly, the delegation of Vinh Phuc had a working session with representatives from the Vietnamese Embassy in the European country, during which Lan expressed her hope that the embassy will help connect the locality with Italian potential investors. 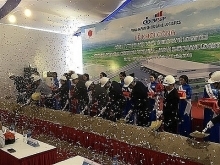 Vinh Phuc is home to 322 foreign direct investment (FDI) projects worth 4.3 billion USD from 16 countries and territories. Piaggio is running two investment projects of motorcycle manufacturing and assembling in the province with a total registered capital of 95.7 million USD. It yearly contributes hundreds of billions of VND to the local budget.